You should strongly consider getting your own HTTPS SSL Certificate. Sometime back Google has declared SSL as an official ranking factor and now the upcoming updates to Google Chrome browser will start to mark websites running without SSL certificate as “Not secure”. As per the updates on new Google Chome versions expected to come before July 2018, visitors to your website using an up to date version of Google Chrome will notice a warning, which may put them off because most of the websites they visit on daily basis are properly SSLed. You should also be concerned about your visitors’ sensitive data which consists of names, addresses, email addresses and payment information. If your website has a “logged in”, “members section” or “clients-area” on your website, then this too counts as sensitive personal information which needs to be protected. How to use SSL on your website? Start by subscribing an SSL certificate and then follow the steps given here. If you are a WordPress user then follow this tutorial. For further support email to system@sangkrit.net. 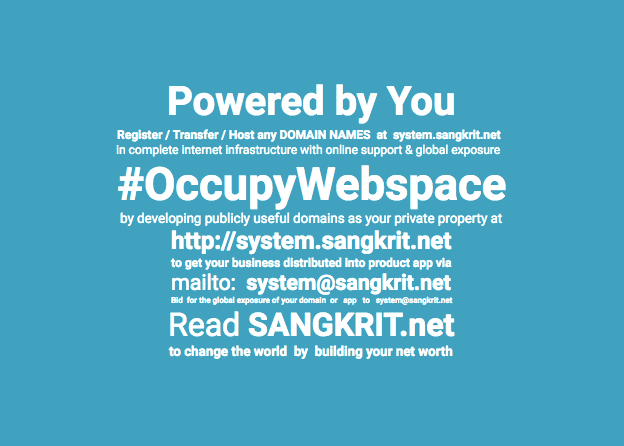 Previous PostHow SANGKRIT.net Protects Your Expired Domain Names?Next PostHow To Grow Your Blog With Focus & Plan?